Getting ready for an emotional week ahead, England skipper Joe Root said they want to conjure up a perfect send-off for Alastair Cook in the final Test, where a win will also send a strong statement to the world. 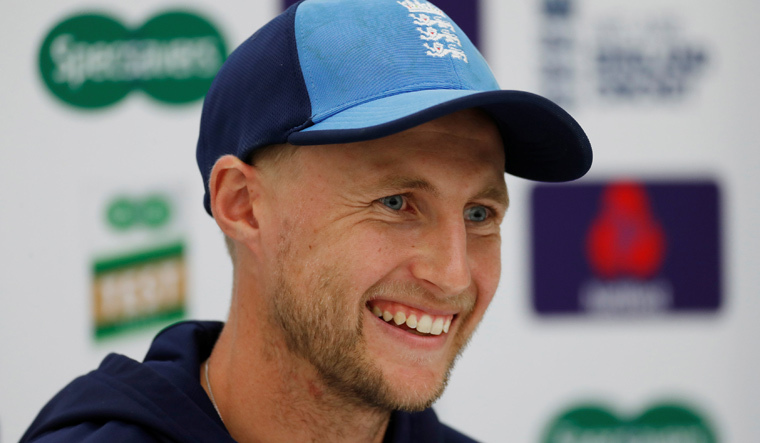 Root said that Cook had informed him of his retirement decision in Southampton, and that this wouldn't be a distraction ahead of or during the fifth Test. “It will be quite an emotional week for him and for a lot of the guys who have played a lot of cricket with him. He will be a massive loss to our dressing room. But I’m thrilled he’s got an opportunity to enjoy this game. “My full focus has been on making sure we win this game. It’s been an area we’ve not got right in the past and to beat the number one side in the world and make it 4-1 would send a really strong statement of where we are at as a team and where we are looking to go as a team. It would sum up a good summer of cricket for us in difficult conditions,” Root said on the eve of final Test. The England captain said Cook does not want too much fuss about his retirement day but if ever there was a time for it, “it’s now”. “We have not got anything planned per se, but I’m sure spontaneously we will do something. I’m sure the ground and the occasion and everyone involved will also help him do that fine. I don’t think it will be a distraction but a motivation for the group. It means a lot to the whole dressing room and they will be desperate to do everything they can to give him a great send off. Talking about Cook’s impact on him as well as English cricket, the skipper said, “I remember someone walking into the team and making it look so easy from the get go at the top of the order. Obviously a bit further down the line I was in Australia that summer/winter where he got 730-odd runs. I managed to get to a couple of the games where he smacked it everywhere. Just phenomenal really! The hosts have named their playing eleven without any changes. Jonny Bairstow will keep wickets again with Moeen Ali slated to bat at number three. Root will bat at number four and said that the competition for keeping between Bairstow and Jos Buttler is healthy. “Jonny’s been the Test keeper for a long time now and has done a fantastic job. It’s not a reflection on the way Jos went about things in the last game at all. But long-term, you look at scheduling of all international cricket across the formats, and sharing that workload could be really key in terms of keeping everyone fresh and ready and at the top of their game. “I think it’s a great way for those two guys to drive each other’s games forward as well. We’re very fortunate to be in the position where we have two quality keepers,” said Root. About the batting order changes, he added, “Moeen has played exceptionally well for his county at three and he wants to do it, feels very comfortable there. The way he batted in his first innings in the last Test, I know it was down the order, but that style of batting could get us off to a really good start and a great chance of taking things on from there. With the winter coming up it might be the way to go, gives us great options. England have already taken an unassailable 3-1 lead in the series. Coming on the back of defeats in Australia and New Zealand, as well as a draw with Pakistan earlier in the summer, the captain said he would like to build on this series going ahead. “The win has given me a huge amount of confidence and I feel like I have grown as a captain and hopefully it can continue,” he said.